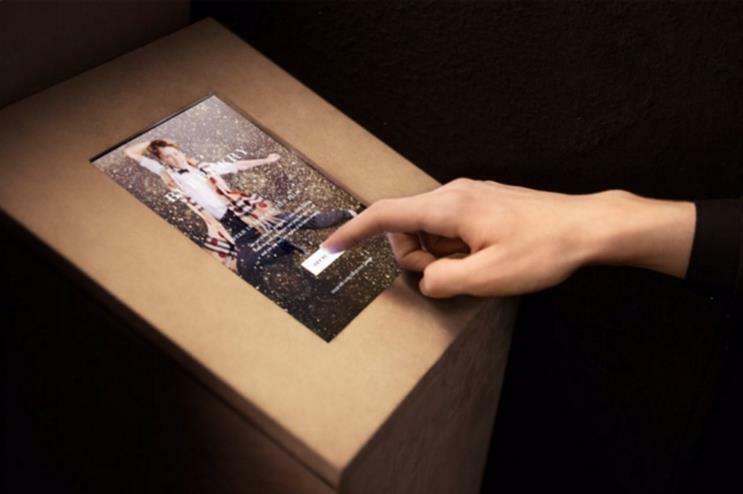 Burberry has teamed up with Google to create an interactive photo booth for the fashion house's flagship store on London's Regent Street. The Burberry Booth enables customers to star in a personalised version of its Christmas advert, which has been inspired by Billy Elliot and stars actress Julie Walters. The Google tech utilises real-time video stitching technology to capture individuals jumping to T Rex’s Cosmic Dancer in the style of the advert. The footage is then placed within the festive film. Once the clip has been created, The Burberry Booth instantly sends customers a copy to share on YouTube, Twitter or email. Guests will be able to experience the activation until 24 December. Burberry previously teamed up with Google in June 2013 to create Burberry Kisses – a digital experience that allowed users to capture and send a virtual kiss to anyone in the world. The booth is the latest in a series of digital partnerships for the brand, which has recently collaborated with the likes of Apple Music and Snapchat.